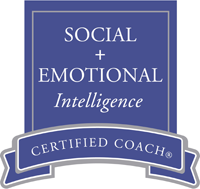 CEO Partnership’s entire team of coaches have received exceptional coaching training. Great training, great education and great credentials don’t necessarily guarantee great coaching, but it’s sure a good start, and an indication your coach is serious about coaching. You’re an expert in what you do, and you want to work with a coach who is an expert in coaching. We do coaching and pretty much only coaching. Coaching has been our business – and our specialty – since 1997. Too many “coaches” have never been in your shoes. You want a coach with first-hand experience in leadership, executive and business positions, someone who has a proven track record and can “practice what they teach.” The entire team of coaches at CEO Partnership were selected for their hands-on leadership experience and their talent for coaching. They’ve been there and done it. To supplement our coaching, we draw on a wide variety of well-researched diagnostic tools and adult development methodologies to help clients focus on the changes that will make the most difference. With the most comprehensive array of assessment services in the Rocky Mountain West, we use self-assessment questionnaires, customized and nationally-normed 360 performance reviews, emotional intelligence tools and other statistically-validated instruments to help our clients gain valuable new insights. We also offer dynamic, customized training programs on coaching and our other specialty coaching topics — communication, leadership, emotional intelligence, managing workplace conflict, and more. We also provide facilitation services, teambuilding sessions, team coaching, and facilitate board retreats. We work privately and confidentially with individuals, teams, and groups and also offer large-scale coaching programs where we provide coaching services to the senior leadership of entire organizations. We are larger than a solo practice, and can guarantee a “good fit” with one of our qualified coaches. At the same time, we believe our “boutique” approach and size offers the most responsive way to deliver the highest-quality, personalized service to our clients. We’re smaller, more nimble and carry less overhead than the big guys, yet bigger than a solo practice. Confidentiality is the hallmark of our executive coaching. This is the bedrock upon which our coaching relationship stands. What we discuss within our coaching sessions remains with us. “It’s lonely at the top,” is the old saying. You may feel somewhat alone in your position, with no one to turn to for the tough stuff. And no one telling you the honest truth. We are unconditionally honest, yet completely supportive and caring in my honesty without any hint of judgment. We offer a fresh, objective, outside perspective and serve as your strategic thinking partner and sounding board as you learn, grow and stretch into new opportunities or new directions. Integrity and trust are critical to the coaching relationship. Our coaches are completely trustworthy and our standards of integrity are the highest in the business. All of our coaches uphold the International Coach Federation’s Code of Ethics, the highest standard of ethics in the coaching profession. Our reputation is built on our integrity. We will not compromise on any aspect of integrity or trust.